With 2012 being a year for Resident Evil games. 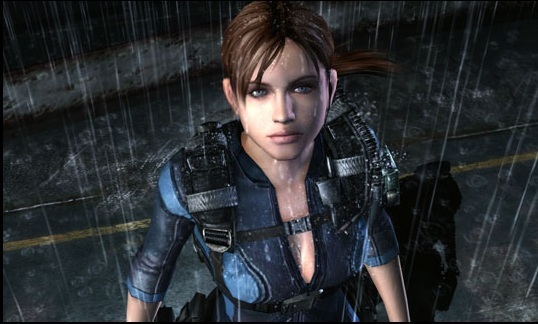 We have seen the release of Resident Evil: Operation Raccoon City, and on October 2nd with the release of Resident Evil 6. 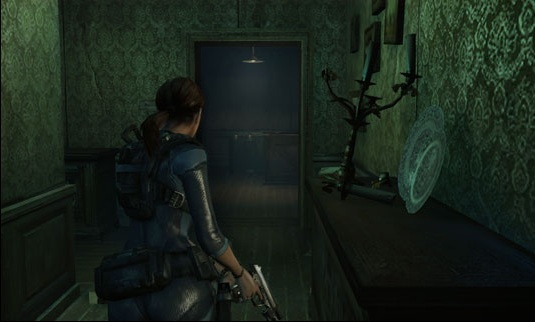 What kicked off 2012’s run of Evil was Resident Evil: Revelations. Released in the US along with the Circle Pad Pro add on for the 3DS we are set in the year 2005, a year after the horrifying events of the “Terragrigia Panic.” Jill and her partner Parker are sent to the Mediterranean to locate and investigate the whereabouts of Chris and Jessica and about the suspected revival of the Bio-Terror organization known as Il Veltro that caused the Terragrigia Panic. In Resident Evil fashion, lots of twists and turns come about as your investigation leads you from the Queen Zenobia, to the Mountains of Finland, even a stint back to 2004 in the middle of the Terragrigia Panic all to tie up the connections about the incident of Terragrigia. Revelations offers two control schemes to play. Standard 3DS Controls or Circle Pad Pro Controls. Each have their own ways to play. Default Standard Controls for Revelations are the Circle Pad Controlling your movements, Holding down L while using the circle pad will make you strafe. R giving you Aiming; Y while holding R fires your weapon. B while holding R reloads your weapon. X using your sub weapons/knife. A uses your Herbs. The D-Pad has its uses as well with Up switching out to the Genesis machine, Left to switch between your Sub weapons/Melee, and Right to switch between your three equipped weapons. The Circle Pad Pro makes the gameplay a bit easier to control. Having the inclusion of a 2nd Circle Pad, The Right Circle Pad takes control of Camera Movement and Turning while the Left Circle Pad takes over Forward movement and strafing. Aiming has been switched to the Circle Pad Pro’s ZL button and Firing is the ZR button while holding ZL. Reloading has been simplified by being mapped to Y without having to have your Weapon at the ready. Sub Weapons/knife use is the Circle Pad Pro’s “R” Button. The A button and D pad have the same control scheme as the Standard control setup. With CPP’s easier control Scheme, this would be the preferred control scheme is you happen to own a CPP. Touch Screen Controls are shared by both control types, with tapping one of your three weapons on top to switch to them. Tapping your Sub Weapon Icon to switch sub weapon types. Tapping on the Genesis machine Icon will switch to that. Also you can tap a Sub menu Bar to open the in game menu to view your equipment, ammo cache, key Items, and Detailed maps. For the remainder of this review, aspects from the gamplay will be from the CPP control perspective. If you are familiar with Resident Evil 5, the Gameplay is pretty much the same. You have a Partner to help you defeat enemies. Though for the most part you don’t have to worry about their health or ammo since they seem to have a unlimited supply of both, so your ammo Conservation and Health Items are reserved for your own needs. Camera control is fluid and easy to aim your weapons. The swim controls are a bit tricky at first, but easy to get a handle on after a while. Sub Weapon use feels a bit clunky sometimes, with response being low after using your weapon. For a cartridge based game, there seems to be long loading times, mostly via in game when you are stuck in an elevator, or in a small corridor, waiting for the map to load. The different weapons are obtainable, but you don’t buy your weapons nor upgrades. You find all of the weapons that you use in the game the same way you did in the original games. Solving puzzles and returning to areas you passed to get them. Another way to find ammo and herbs is by using the Genesis machine to scan for hidden items to pick up, so check the rooms often if you are low on ammo or herbs. You can equip your new weapons when you find them, but replace the weapon you have on point if you already have three weapons equipped. Kits and weapons that you’ve found or swapped out can be found in the weapons case which are spread out so being able to swap your current equipment easily is not accessible. Seeing your ammo cache and what kits you have to help with dealing heavier damage per round are good. Fighting Zombies, or Ooze as they are called in Revelations, is relatively the same as prior games. Shoot for the weak points for greater damage, or try to stun them. A Melee Charge attack is available when you successfully stun an Ooze, the longer you hold it the stronger the damage you deal to the Ooze. Tedious puzzle solving makes its comeback to Revelations. As you sometimes have to go back and forth between rooms to find the solution to the puzzle. Once you finish the entire game, you get the New Game + option. You get to keep all your prior equipment that you’ve collected and try to beat the game again, and clear the missions that have been set for you. Mission mode is fairly easy to describe. You have a set number of missions available to you and you have to clear them. As you clear each mission you get bonus items, like Kits, herbs, ammo to help you thru out the game. You also get additional missions via the 3DS Street Pass feature. Where you’ll encounter other Revelations players and they give you missions to clear. Most of the missions you receive from Street Pass are for Raid Mode where you have to go and defeat the mutated version of the player on a select stage and enemy level. Revelations unlocks Raid Mode, a Mercenaries type gameplay mode that lets you play with a big part of the cast. Raid Mode Stages are unlocked as you clear every three Episodes you pass. You get three play options. Solo play, Local DS play, and Online play. In Solo, the title says it all, you are a lone wolf, reaching your goal in the mission. Local DS play lets you meet with other 3DS and Revelations owners and partner with them to raid the missions. And in Online play, you do the same as Local play, but just online. The lack of headset communications with the other players online make it difficult to communicate and plan a strategy for the mission. The Lag is barely noticeable. A few times Ooze stops but that is a benefit as they do not harm you so you can Melee them with your Knife to death before they restart again. Revelations graphics are pretty amazing. The character models have great detail, with each character being unique on its model. In cut scenes you can see some emotions with the characters. The 3D effects that Revelations offers is good, gives lots of depth and helps with the mood of the game. The top Screen is HUD free, with Main and Sub Weapon Ammo supplies being shown only when you ready your weapon. Health is displayed as your screen getting bloodier. The lower touch screen is very busy, but a useful busy and not a hindrance. We see the Equip Weapons at the top, On the left side we have our Sub-weapon option which expands to see your current sub-weapons to help equip them. The Genesis Machine in Campaing and Old Keys in Raid Mode, they share the same block. The amount of green herbs you have available, and the sub-menu which opens to expand to the touch screen. 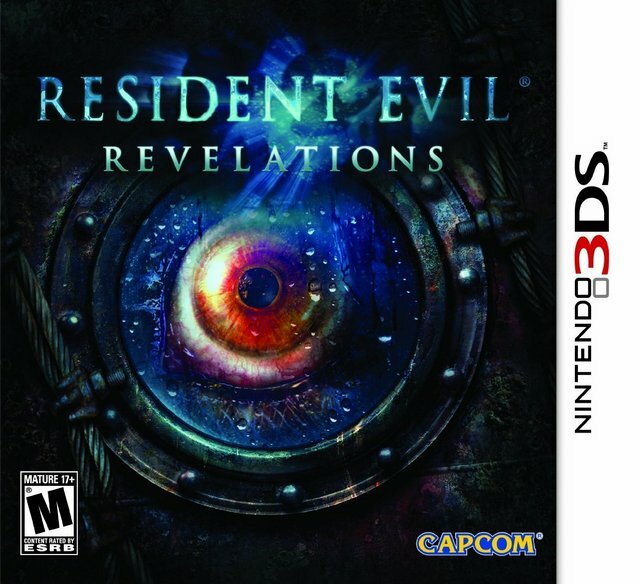 Another unique feature to Revelations is the “Previously on Resident Evil Revelations” addition. The game plays Episodically and if you do not want to play the game straight thru you can break after every episode, which last at least 15 minutes to an hour depending on your situations and play style. When you return you can get your recap of what you did prior episode without feeling lost. The audio is very foreboding, and really brings the horror mood to the gameplay. The story is well written and with the episodes having some kind of theme with Dante’s Divine Comedy makes it very interesting. At some points you actually have some characters quoting Dante. Revelations gives a nod back to how the old Resident Evil games where. Exploring a large location, puzzle solving with survival tactics, and tense moments never knowing what is around the next corner. The change in the Partner mechanics are a welcomed change, not having to worry about their ammo and health makes it much easier to focus your efforts on your own equipment and health. The Raid mode is a great addition with online play being great and not a hindrance if it lags. The quotes from Dante’s Divine Comedy to help with the episode themes makes it a notch better for those who enjoy that classic literature. And the way they recap your prior episode is great! 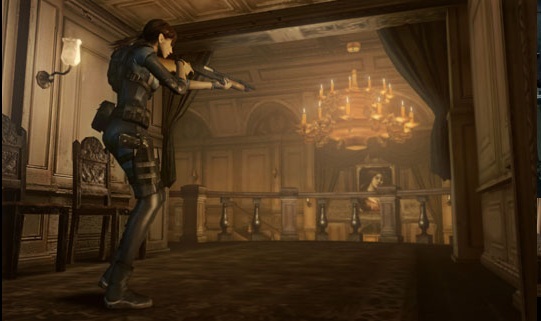 Revelations is a good game, and a great way to kick off the 2012 run of Resident Evil.